The Leadership Development Program (LDP) is a protocol to assist students in intentionally and positively developing their self-confidence, community engagement and leadership skills. The sequence allows students to identify programs/opportunities that best meet their goals. Additionally, student can build a foundation on which to grow and develop throughout their enrollment at UC Blue Ash. 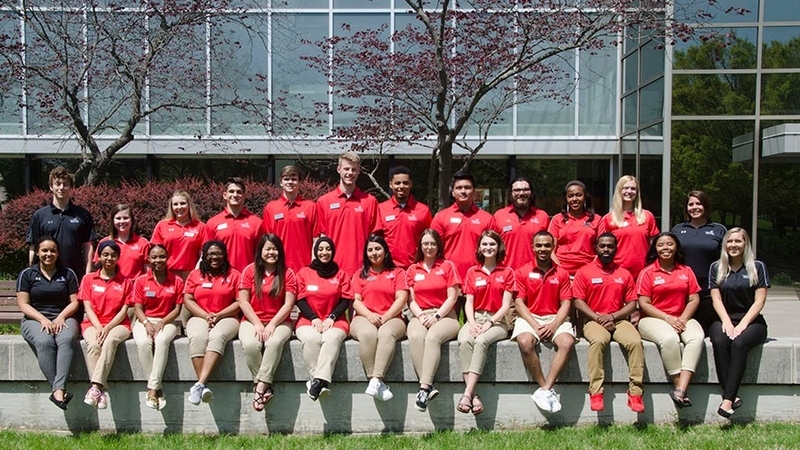 Student Orientation Leaders (SOLs) will represent the UC Blue Ash student body for incoming students and their families during Orientation and Convocation. The Orientation Coordinator works closely with the Student Life office to plan and implement the Student Orientation Leaders (SOL) program, orientation program, and convocation program. UC Blue Ash Student Ambassadors serve as the "face" of the student body and actively engage in college events and programs. The Student Ambassador Intern will work closely with the Student Life office to plan and implement the Student Ambassador program.